Hung over, beaten by the unforgiving sun, bitter at his estranged wife, and dreading the day’s docket of petty criminal cases, Judge Evers Wheeling is in need of something on the morning he's accosted by Ruth Esther English. Ruth Esther's strange story certainly is something, and Judge Wheeling finds himself in uncharted territory. Reluctantly agreeing to help Ruth Esther retrieve some stolen money, he recruits his pot-addled brother and a band of merry hangers-on for the big adventure. Raucous road trips, infidelity, suspected killers, winning Lotto tickets, drunken philosophical rants, and at least one naked woman tied to a road sign ensue in The Many Aspects of Mobile Home Living, one part legal thriller, one part murder mystery, and all parts all wild. 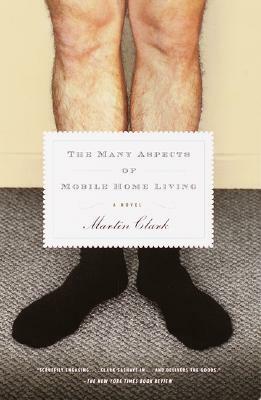 A circuit court judge, Martin Clark lives in Stuart, Virginia.